This letter was written by Sgt. 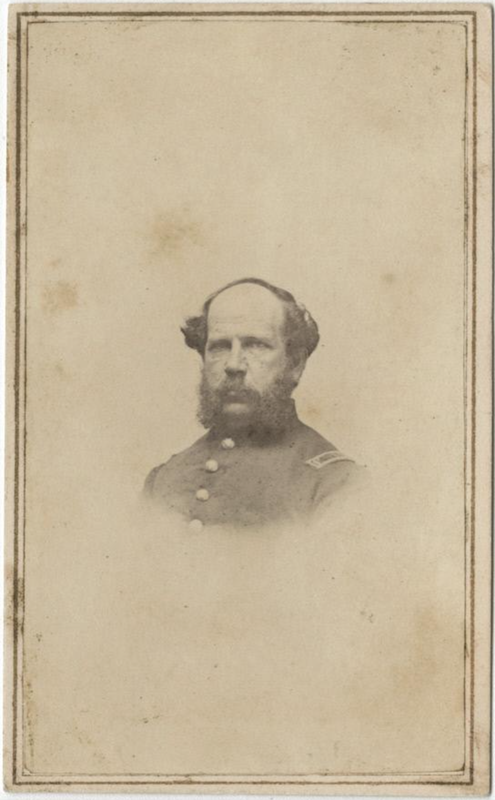 Charles J Greene, First Sergeant of Co. K, 7th Connecticut Volunteers. The letter was written from Annapolis, Maryland, where the regiment was quartered in building connected with the Naval Academy for eleven days while they waiting for transports to take them to South Carolina. The regiment embarked at Annapolis on 19 October 1861 on the steamer Illinois though they did not leave the harbor until the morning of the 21st. Regimental records indicate that Sgt. Green was from Killingly, Connecticut. He was later promoted to 2nd Lieutenant of the Company F.
Your letter came duly to hand and I was very glad to hear from you and the rest of the family. I was sorry I could not see you and Hetty before leaving home, but my time for visiting was so short that I could not get time to come over there. There were several places that I was obliged to go to on business which took up so much of my time that it left me but very little time for visiting. I was much pleased with your letter. I am proud to think that I have a sister who takes an interest in this great National enterprise. The woman who can thus say to her brother, go forth and fight the battles of your country is worthy of all honor and is fit to be the wife of a hero. Our regiment is under marching orders and we shall probably embark in a day or two. The vessels that are to take us down to Dixie’s Land are lying at anchor in the harbor here and I understand that the Rhode Island Third Regiment are on board of one of them. You have no doubt seen an account of the expedition in the papers — the same that has been and is still fitting out in New York. The force is to be a large one. Some say Seventy-five thousand men, but you know just as much about that as I do. There is a great deal of speculation here in regard to our destination. The most general consensus is that we [are] going to take possession of New Orleans, but all that I know about it is that we have orders to be ready to embark at a moment’s warning. We are all anxious to be off and get [a] shot at the Rebels. Yesterday while we were on Battalion Drill, Gov. [Thomas Holliday] Hicks — loyal governor of Maryland — paid us a visit. The Col. introduced him to the regiment and proposed nine cheers for him which was given with a will. Tell John Dexter that I am glad to hear that he is coming out to help us and hope we meet and have a social chat. When you write again, tell me in what company he is so I may look out for him. I received a letter from Thomas yesterday and shall answer it as soon as I can get time. I am well and hearty and like camp life as well as ever, notwithstanding the grub is sometimes not quite so rich as we get at home. Tonight our supper consisted of a tin cup full of coffee and just as much hard bread as we could eat. Of course the coffee is without milk and the bread without butter or cheese, but our appetites are good and that is better than rich food and no appetite. Give my love to Hetty and Family, all the rest of the folks. write soon and direct to Company K, 7th Regiment Connecticut Volunteers, Washington D. C. All letters thus directed will be forwarded to the regiment.